No General Aviation airplane is as popular as J-3 Cub! 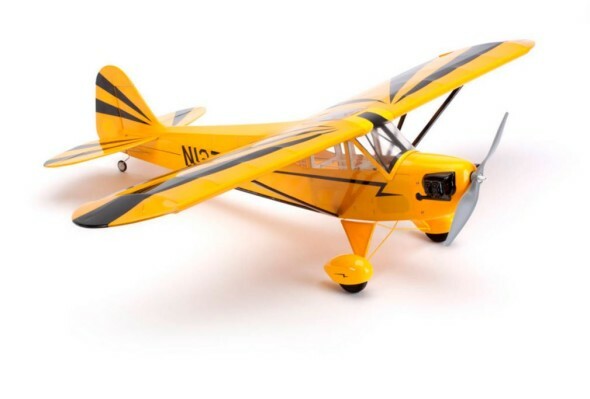 And the new E-flite Clipped Wing J-3 Cub 250 ARF brings all of the the nostalgia of the full scale airplane airplane with the added benefit of a few more horses inside the cowling; a pilot can have all of the freedom that the J-3 promises and the added thrill of a more spirited flying experience. With a wingspan of 30.7 inches and a weight of around nine ounces, This lightweight, wood composition model is perfect for the park.